The American Indian Pow Wow Association hosted the 30th annual Intertribal Pow Wow yesterday at Thomas Square. 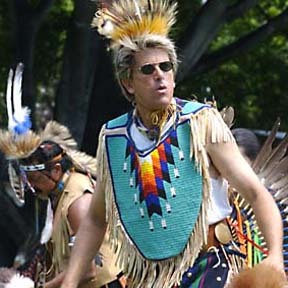 John Martin, a Honolulu resident, participated in the event, which features dancing, drumming, singing, arts and crafts, and food. It continues today from 10 a.m. to 5 p.m. Admission is free.